Like many quilters I have lots of projects on the go but rather than list them all in the hopes of finishing them I'm going to narrow it down to keep it realistic and stay motivated! 1, 2 and 3. The three #therearenowords quilts. One for Nat and her family, two for the grandparents. These are in various stages of near completion and will be handed over to Nat in February, after which I will share them here. 5. It's all basted (has been for a while) and I am going to hand quilt it with perle - I had a quilting plan but have since forgotten it so I need to have a look again and come up with something! I would like to check all this off at the end of the quarter and approach them all with great enthusiasm! I keep a copy of this list in my planner so I can refer to it and remind myself of what I said I'd complete. My list was one of the first items that hit my new Fauxdori! A good list and totally doable! :-) I just love your embroidery stitching... so perfect! Looks like a doable list! Good luck! I have a list but haven't been brave enough to 'put it out there'! 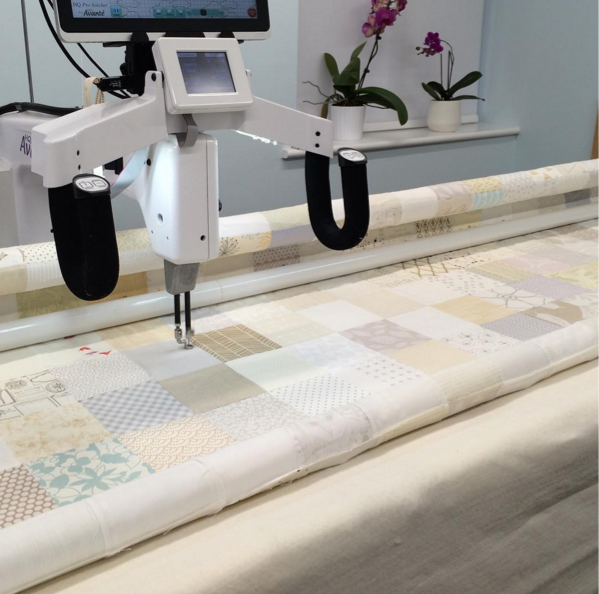 All your projects look great- looking forward to seeing Nat's quilts! Being realistic is always a good plan, I was considered with my list too! Good luck. I think you'll do really well with this list!! Good luck! Yes, I have :) Good luck with yours! Looking good!